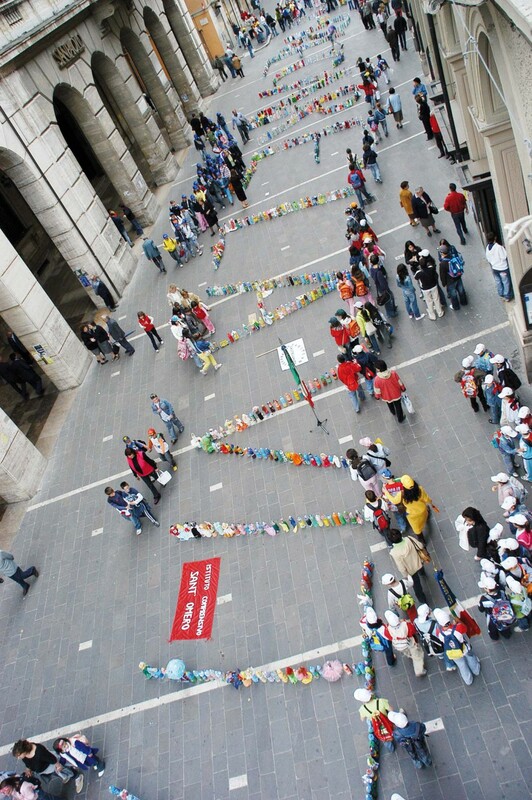 Relational Installation and Artistic Lab with the participation of 30.000 schoolboys of the Europen Project Art&Earth in Osijek (Croatia), Częstochowa (Poland), Vicenza (Italy), Teramo (Italy). 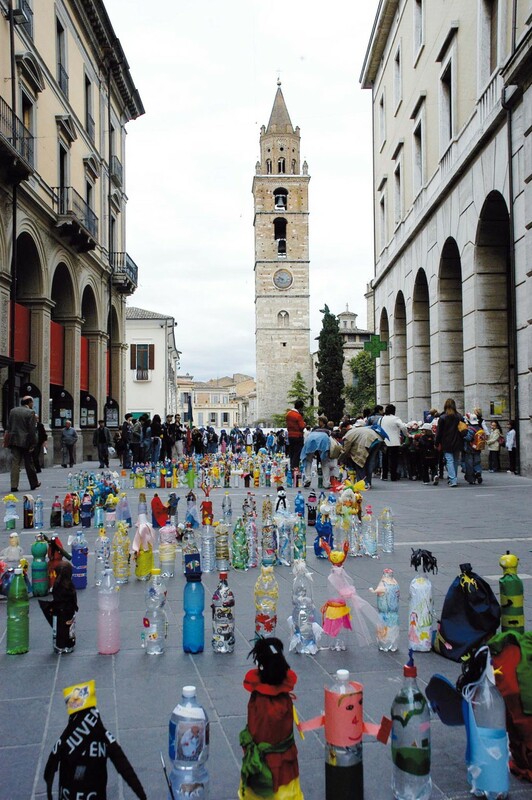 Acquerelli per non sprecare la vita is a global work of art/project born in 2006 from an idea of Giuseppe Stampone with the aim of making aware of the proper use of water resources and which has led to the institution of Solstizio. 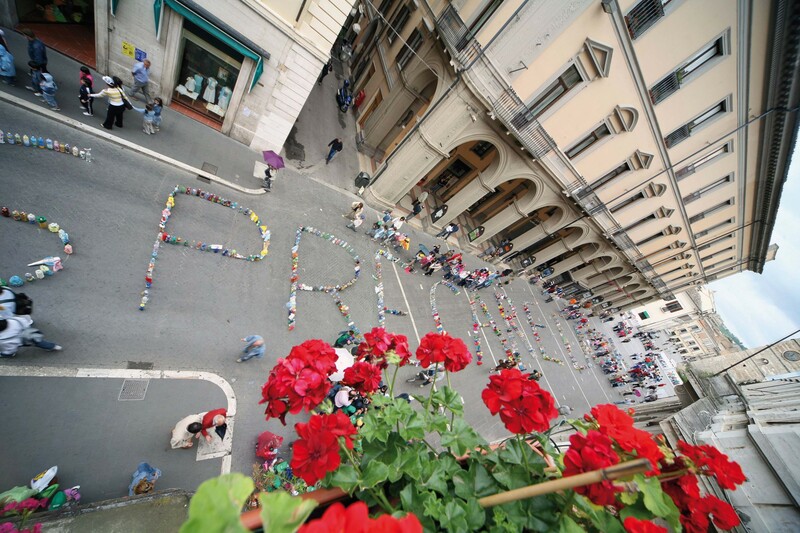 The partnership with the NGO ProgettoMondo MLAL of Verona, operating from 43 years in 21 countries of the south of the world, together with Solstizio, has turned this work/project into an international social action. 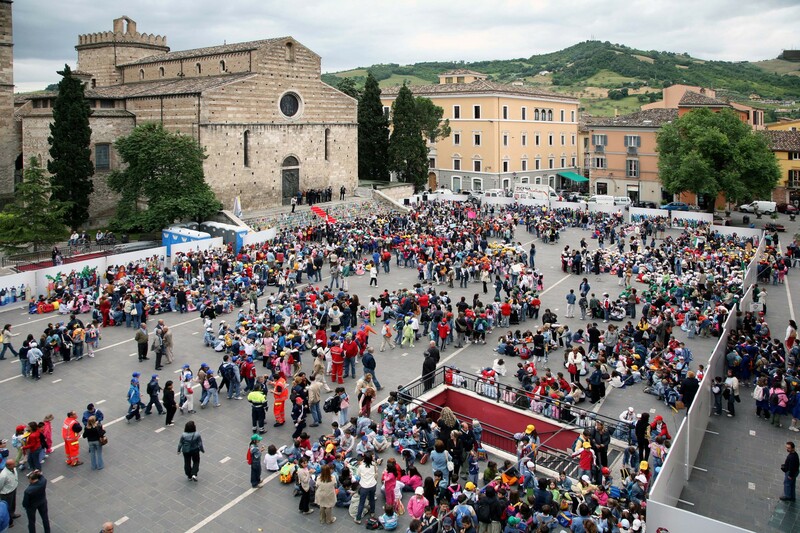 From 2006 to 2009 it was carried out in central Italy (Umbria, Marche and Abruzzo) involving more than 15.000 primary school pupils with the financial intervention of public bodies (regions, provinces, municipalities), private entities (banks, museums) and the sponsorship of the regional and provincial education offices. 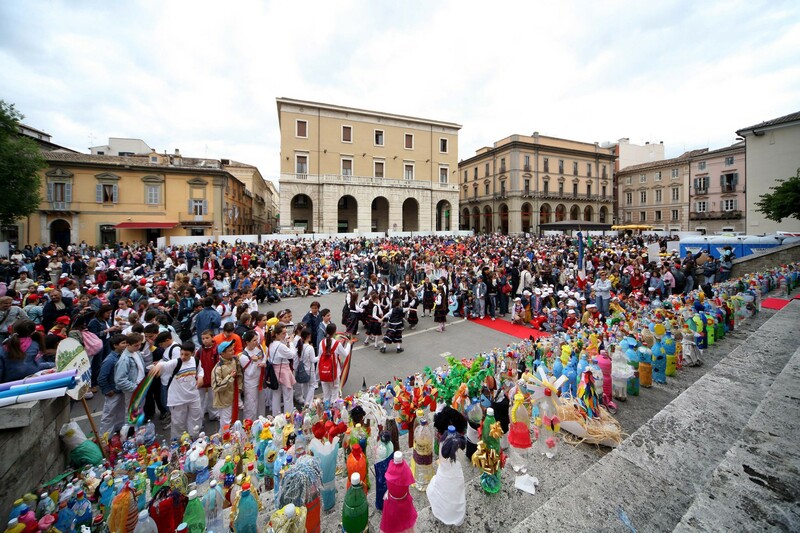 The work/project has turned into Art&Earth (2010-2012), a project co-funded by the European Commission and developed by Solstizio and ProgettoMondo Mlal, promoted by the Municipality of Vicenza with the collaboration of the Municipality of Osijek (Croatia) and of Częstochowa (Poland), and of different associations of Burkina Faso (Africa) where it will end up. The installations in the partner cities (Osijek, Vicenza e Częstochowa) and to producing a documentary film and an art catalogue. 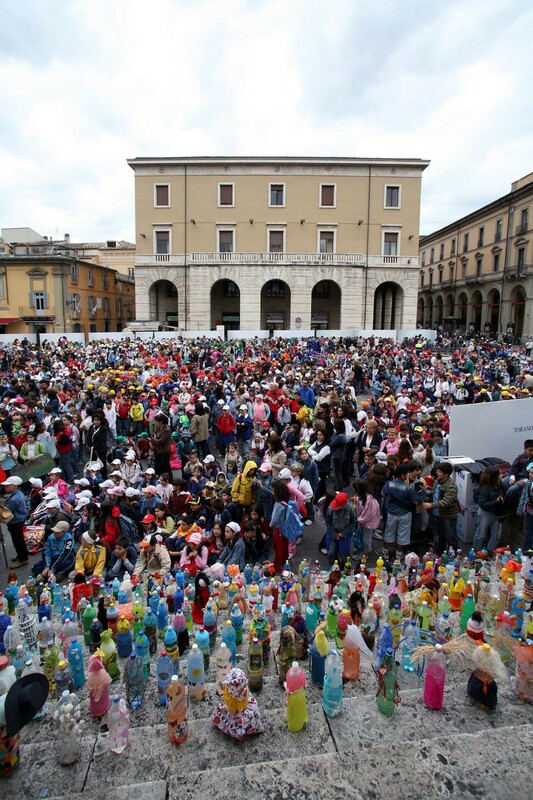 Acquerelli per non sprecare la vita shows itself through artistic-didactical actions, such as that in which primary and secondary school pupils decorate a recycled plastic bottle symbolically representing a human body to which they reproduce their own image. 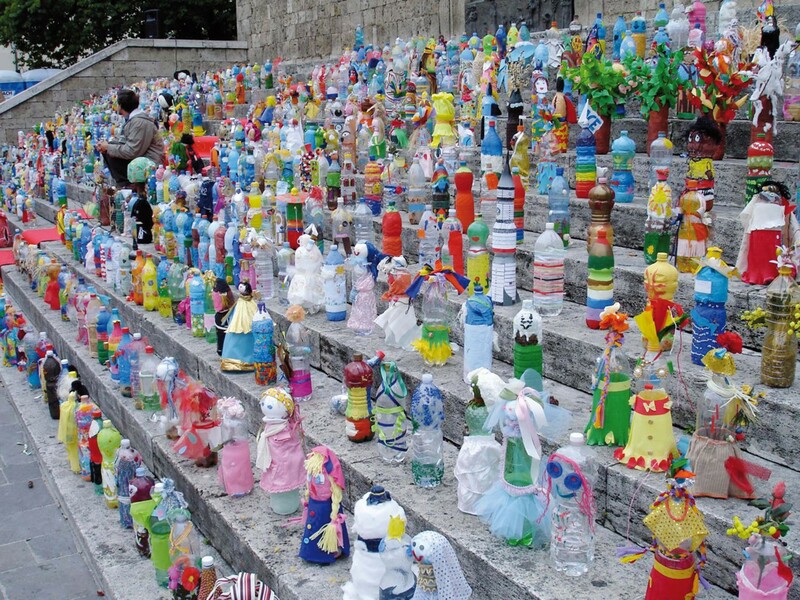 The decorated bottles are placed together in a public area in order to form the name of the project itself. 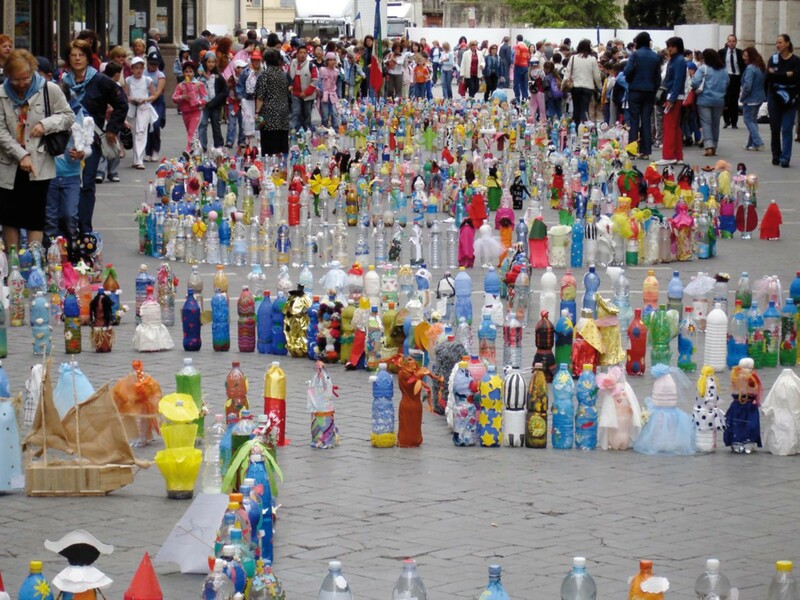 The artist uses the same bottles to produce photographic manifests, real works of art, finally sold exploiting the several ProgettoMondo Mlal channels with the purpose of re-funding sustainable projects in different areas of the world (Latin America and Africa).